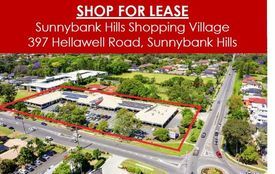 58 Commercial Real Estate & Properties in Sunnybank Hills are listed in 6 categories. We have 23 Retail ShopsSale & Lease , 23 OfficesSale & Lease , 9 Other Commercial PropertiesSale & Lease , 4 Medical and Consulting PropertiesSale & Lease , 3 Development LandsSale & Lease and 1 Industrial Warehouses Sale & Lease . 809m2 Block For Commercial Development* + Residential! Extremely Rare Commercial Character Building Site! AUCTION On-Site 809M2 Com..
Yong Commercial is pleased to offer this office space for lease at Sunnybank Hills Pacific Centre. Location: Sunnybank Hills is located approximately 14 Kilometres south of the Brisbane CBD. The centre is positioned on the corner of lear St and calam road allowing for great accessibility to the entrance of the shopping centre A very rare opportunity to secure this 61m2 vacant professional office in this very strategic location with two Woolworths right across the road. One of the best offices on the building. The Pacific Centre is the only commercial building in the Sunnybank Hills region where you can accommodate small tenancies or businesses on such a good location. 61m2 Office space Sunnybank is regarded as a middle class to upper end business class with a large Asian & Indian population base. 2015 census recorded a population of 51,049 residents with an average age of 33 years in the suburb of Sunnybank Hills The Centre comprises a mix of complementary retail and commercial tenants including dental, music school, food and beverage and professional services. Price: Contact agent Inspection: By appointment Address:Suite 26 & Suite 27 /223 calam Road Sunnybank Hills QLD Contact: Conan Li/07 3373 9887/ 0404 617 767 Email: conan.li@yong.com.au Disclaimer: We have in preparing this information used our best endeavours to ensure that the information contained herein is true and accurate, but accept no responsibility and disclaim all liability in respect of any errors, omissions, inaccuracies or misstatements that may occur. Prospective purchasers should make their own enquiries to verify the information contained herein. 1,407m2 total building area 1,162m2 clear span warehouse with high bay lighting 245m2 air conditioned office space Excellent truck access Roller door access for shipping containers Security gates and fencing 3 phase power Amenities including showers Plenty of customer and staff parking Available now, inspect today approx Please contact the listing agent for more details by clicking on the link above. Disclaimer: Ray White has not independently checked any of the information we merely pass on. We make no comment on and give no warranty as to the accuracy of the information contained in this document which does not constitute all or any part of any offer or contract by the recipient. Prospective purchasers / lessees must rely on their own enquiries and should satisfy themselves as to the truth or accuracy of all information given by their own inspections, searches, inquiries, advices or as is otherwise necessary. No duty of care is assumed by Orchid Avenue Realty trading as Ray White Surfers Paradise Commercial divisions toward the recipient with regard to the use of this information and all information given is given without responsibility. 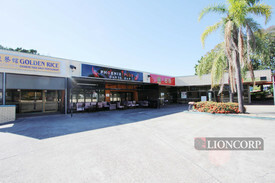 Yong Commercial is pleased to offer retail shops for lease at Sunnybank Hills Shopping Village jackson road. Situated beside busy tavern 2x 90m2 shops for lease It can be leased together (180m2) or separately 120 ground level car parking bays + Ambulance bay high volume of walk past traffic The Landlord will assist a new business with fit out costs with the negotiation of a long term Lease. Sunnybank is regarded as a middle class to upper end business class with a large Asian & Indian population base. Price: Contact agent Inspection: By appointment Address:397 Hellawell Road Sunnybank Hills QLD Contact: Conan Li 0404 617 767 (07 3373 9887) Email: conan.li@yong.com.au Disclaimer: We have in preparing this information used our best endeavours to ensure that the information contained herein is true and accurate, but accept no responsibility and disclaim all liability in respect of any errors, omissions, inaccuracies or misstatements that may occur. Prospective purchasers should make their own enquiries to verify the information contained herein. 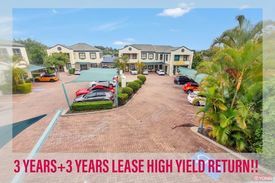 Sunnybank Hills Qld Office Park Professional Office For Sale Selling at 6.8% net renta..
Yong Commercial is pleased to offer this professional office for sale with good investment return. It can be used for Corporate office, Law Firm, Accounting firm, doctor and medical suite. 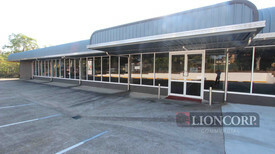 Location: This office building has the Beenleigh Road views and is positioned near Mains/Pinelands Road. The building is part of an office park with a good number of on site and street parking.The location provides tenants with convenient access to the public transport and walking distance to the bus station. KEY features: Long Term stable tenant (Coaching School) to NOV 2020 plus 3 years option High Yield return 161m2 NLA strata titled office ample parking spaces Central Business hub waling distance to Pineland plaza, Shauna Downs shopping complex and Beenleigh Road medical centre Exceptional location with exposure to Beenleigh Road Surrounded by a rapidly growing residential community Ideal for Corporate office,lawyer,Accountant doctor and medical. Motivated sellers, Make an offer today! Price: Selling at 6.8% net rental yield Inspection: By appointment Address:Unit 3A 18 Torbey St Sunnybank Hills QLD 4109 Contact: Conan Li 0404 617 767 (07 3373 9887) Email: conan.li@yong.com.au Disclaimer: We have in preparing this information used our best endeavours to ensure that the information contained herein is true and accurate, but accept no responsibility and disclaim all liability in respect of any errors, omissions, inaccuracies or misstatements that may occur. Prospective purchasers should make their own enquiries to verify the information contained herein. Rare opportunity to secure brand new 5+5 year lease in the heart of Sunnybank Hills Strategic location between Gold Coast & Business corridor International corporate tenant with solid business background Newly built ground floor tenancy with corporate presentation Well secured lease return approx. $55,140 pa + outgoings & GST Only minutes to two major retails centres & amenities Benefit of ongoing depreciate on asset Sunnybank Hills is approximately 15kms from Brisbane CBD. Quiet, Professional Office Building With Flexible Lease Terms $5,000 + GST p.m. + Outgo.. AVAILABLE FOR THE FIRST TIME IN DECADES Last chance for Development Site in Prime Sunnybank Hills Position! Convenient location within catchment of Sunnybank Hills State School Located in one of the most sought after suburbs on the Brisbane Southside: Sunnybank Hills, which has become increasingly popular due to its top ranking Sunnybank Hills State School and the friendly & convenient family living environment. An impressive 11120m2 subdividable clear block with nice & big double brick, resort style home with subdivision & potential for commercial uses. Right opposite popular Sunnybank Hills state school, this property is elevated in a position with views and very wide frontage of approx. 50 meters plus second street access if necessary. The location here is convenient, walking distance to: Sunnybank Hills State School, Jackson Road Shopping Village, Les Atkinson Park, Stones Road Reservoir Park, buses; and just minutes' drive to Pinelands Plaza Shopping Centres, Shops, Restaurants, and of course, Sunnybank Hills Shopping Town, Pacific Centre, Sunnybank Plaza, Market Square, you name it... This ultra rare piece of real estate featuring: Sprawling five bedroom, double bathroom home Air Conditioning, fireplaces Commercial grade double bay shed A triple bay carport, double lockup garage, plus plenty secure parking Resort style in ground swimming pool Unique bore water supply complete with pumper Greywater System Don't miss out on this sensational property in the Sunnybank Hills with so much potential for both residential and commercial development, instructions from the owners are clear, the property MUST BE SOLD, enquire today! Note : All information contained herein is gathered from sources we consider to be reliable. However we cannot guarantee or give any warranty about the information provided and interested parties must solely rely on their own enquiries. 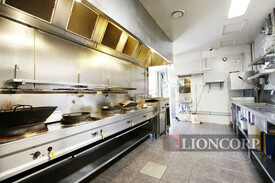 Located in central precinct of Sunnybank Hills Only 8 brand new food premises available Areas from 82 m2 available Fully installed grease trap and air conditioned Superb positioning on corner of busy Gowan and Beenleigh Rd Ample car parking onsite Limited opportunities only Contact Exclusive Agent today to discuss your requirement! Sunnybank Hills is approximately 15kms from Brisbane CBD. Fantastic Development Opportunity! 16 Apartment Complex D.A. Approved 5 Pre sales! 2 x 1 Bedroom 13 x 2 Bedroom 1 x 3 Bedroom A prominent position. Perfectly positioned on Troughton Road, within close proximity to essential lifestyle facilities and services including transport, shops, hospitals, primary, secondary and tertiary education. Just a short stroll to Sunnybank Plaza with access to all major bus routes including those to Queen Street Mall, Indooroopilly, and Garden City. Market Square is only a minute's walk and Banoon train station only a few blocks away this is convenience at its best! Fantastic Development Opportunity! 16 Apartment Complex D.A. Approved 1 x 1 Bedroom 7 x 2 Bedroom 8 x 3 Bedroom A prominent position. Perfectly positioned on Troughton Road, within close proximity to essential lifestyle facilities and services including transport, shops, hospitals, primary, secondary and tertiary education. Just a short stroll to Sunnybank Plaza with access to all major bus routes including those to Queen Street Mall, Indooroopilly, and Garden City. Market Square is only a minute's walk and Banoon train station only a few blocks away this is convenience at its best! Areas from approx 60 120m2 available One of the best retail growth precincts in Southside Join in with duty free, cafe and Chinese restaurant Suited to food and retail use Ideal position to suit beverage bar, medical, restaurant, karaoke, internet kiosk etc Don't miss out, contact Exclusive Agent today! Sunnybank Hills is located approximately 16kms from Brisbane CBD. Sunnybank is a diverse, thriving multicultural suburb of Brisbane, also known as the China Town on Brisbane’s Southside. It is the suburb of choice for over 400 retail, food outlets and many prospering shopping centres, including Sunnybank Plaza, Sunnybank Market Square and SunnyPark Shopping centre. The area is a well known residential hub for the Asian communities. It is only minutes drive to Westfield Garden City, with easy access to Pacific Highway to both Brisbane CBD and Gold Coast. Located on the corner of Jackson Road and Hellawell Road, Sunnybank Hills, Jackson Road Shopping Village is one of Brisbane's most walked strips when it comes to shopping, dining and entertainment! 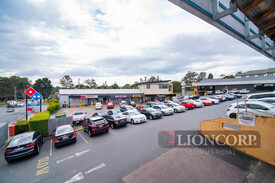 Features include: Surrounded by large residential catchment 7 day and night trading Large customer car park Prime window frontage and pylon signage Access to all major public options Busy trading location There is only one tenancy available in this prime Sunnybank Retail Strip: Size: 180m2 https://www.youtube.com/watch?v=ljKmGaAD95k&feature=youtu.be For more information or to arrange an inspection contact Hamish Armstrong. Prime A grade commercial office with convenient access Superb opportunity to secure offices from 96m2 to 800m2 Architecturally designed to reflect your business' corporate image Fully ducted air conditioning, ceiling and access to super fast fibre optic service Allocated exclusive parking onsite Dedicated quality cafe onsite Inspect with Exclusive Project Agent today! Disclaimer: Images and plans shown are where applicable lifestyle, location shots, internal/external building images or artist's impressions and may be indicative only. Please note that pricing and availability are subject to change without notice. Retail food space from 38m2 to 500m2 available Positioned in the heart of a fast growing retail precinct Join Aldi, Hanaro Supermarket, close to Woolworths & Big W Grease trap ready with optional outdoor seating Ample parking onsite New, large childcare group onsite to provide family convenience Vietnamese, Thai, Turkish, Chinese, Korean, Taiwanese, Japanese, Malaysian, Italian, Spanish food operator should enquire Get in now, enquire with Exclusive Agent! Logan Road, Kingston Road, Compton Road and surrounding area encompass the Underwood business centre which is a mixed use urban development area incorporating the Underwood/Slacks Creek industrial estate as well as retail, commercial and office establishments. Retailers in Underwood include Bunnings, Big W and Woolworths as well as The Zone, which is a privately owned retail estate.